1: Payment Address will not be changed. once you apply using an address that address will be locked. Everyone is responsible to protect his address and private keys. do not click on any links you'll receive through unkown emails and slack PMs. 3: Managers and Owners have the rights to make any Changes in the rules and requirements during the campaign. Follow this thread to stay updated. 30% of the total Bounty Pool will be allocated for Social Media Campaign bounties which will be divided equally Between Facebook and Twitter Bounties. SpreadSheet will be updated Every Wednesday. Please update us your report by Monday latest. 1: SpreadSheet will be updated weekly every Wednesday. Please submit all your Reports by Monday. 2: Always make a new Report posts to submit your report. do not edit old reports and add your new report. 1: You Must do at least 7 Retweets A week. 4: make at least 3 Tweet Every week With Hashtage #RenCap and #RNP and Make at least 3 Facebook Post Every Describing the Project. 5: each Week you must Submit links of your Retweet, Tweets, Posts and Shares in this post. 6: Do not retweet and Share all tasks in one Day..
7: Do not Retweet and Share Older then a week posts. 1: Twitter Accounts must have a Minimum of 500 Real Followers. and Facebook accounts must have a minimum of 300 Real Friends and Instagram Account must have 100 Followers minimum. 2: Twitter/Facebook/Instagram accounts must be original. Fake, dead, inactive and bot accounts will not be accepted. 3: You must be an active and regular twitter user, and must be retweeting/sharing RenCap's official tweets and updates. 4: Joining with multiple accounts is not allowed. Users found to be using multi accounts, will be blacklisted. 5: A user can participate in all 3 social campaigns at the same time. 15% of total bounty pool reserved for all valid translators and community managers. Translate RenCap's ANN thread, Whitepaper and Manage local community/thread and get your Reward. To reserve a language please post your interest with some of your previous translation work. 1: Translations must be original, using any kind of tools such as Google are not allowed. If found the translator will be blacklisted. 2: ANN thread translator will be responsible for the moderation as well (we have additional rewards for moderation). The translator must keep the thread active by translation of official announcements, news, posts. 3: We do not need any Single Post Dead Thread. If you failed to keep the thread active and up to date, your reward can be reduced to 50% of the actual payment or you could simply be disqualified. 4: Increasing the moderation post count by spam posts, posting false posts or paying other to ask questions in your thread is not allowed. 5: Newbies i.e. users with no previous experience of translation will not be accepted. Always ask before beginning translation and post your previous translation work. 5: Manager and owners reserve the rights to add rules, or do any kind of reasonable changes. We'll Reward all Bloggers, writers, youtubers, video creators who will add their support to promote RenCap Project by writing reviews, blogs, articles in their website and blogs, and create video presentation. reviews on their youtube channels and other sources. 25% of total the Bounty Pool will be allocated for Blog and Media Bounty Participants. 1: Low Quality Articles and Videos are not Accepted. 3: Article Must be Longer than 500 Characters, less than 500 Characters will not be accepted. 4: Video Must be at least 1:30 Minute Long. shorter than that will not be accepted. 6: In description of Video you must have one link of your official website, one link link of whitepaper and one link of your own bitcointalk profile to proof your authorship. 7: Medium, Steemit, Newbium, and other general/free blogging platforms are allowed but only One Post of a Person will be accepted in those platforms. 9: Manager and the Owners will have the rights to change any rules, or make any changes if necessary. 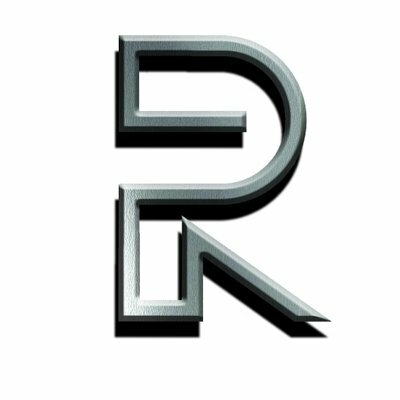 We will reward all the supporters with RNP Tokens who'll add our Signature and Avatar to their Profiles and Help us in promoting the project in all over the forum. 1: Keep the signature and avatar until the end of the Campaign. Removing a signature or avatar in the middle of campaign will disqualify you. 2: You must do a minimum 10 posts per week. less than 10 posts will not be counted. 3: Posts must be constructive and On-topic. Spamming, low quality posts, copy paste and off topic posts will not be counted. 4: Eligible posts must be 75 Character Long. Posts shorter than 75 Character will not be counted. 5: Payment will be done once at the End of the token sale. 6: Keep your signature till spreadsheet updated with your final post count (allow at least one week to count posts) Removing a signature before post count will simply disqualify you. 7: Newbies are not allowed to Join. We are looking for more and more Readers. Followers and Contributors for Our Upcoming ICO event, and for early supporters we have a lot of bounties , rewards and Bonus... Join our Telegram and Slack Channel today. be a part of the largest Cryptocurrency Social Media Platform and Earn bonus reward. Payment will be paid along with all other bounties. 10% of Bounty will be fixed to pay all eligible and active telegram and slack bounty participants. 5 Stakes for each Active User. 1: You must join the Telegram Group and stay there till the end of Crowdsale. 1: User must stay on the group till the end of crowdsale. 2: User must be active and supportive in the group. inactive users can get 50% less payrate or can be simply disqualified. 3: Using bad language, spamming, advertising any other service in group not allowed. 4: Only one account on each platform allowed. a person found to be cheating by creating multiple accounts will be disqualified. 5: Having a 2 month older bitcointalk, twitter, facebook or reddit account is mandatory.. using brand new accounts of these platforms will not be accepted. 1: Add RenCap Logo in your Telegram Profile Picture space. 2: Add RenCap link: "rencap.asia" in your Telegram public name. 1: Do not spam in any other Telegram Group and in the official Telegram Group. 2: You must keep the Logo and Tittle till the end of this campaign in order to get your payment.